Hey guys, Andy here with a solo adventure update. I spent Saturday night and Sunday in Manayunk (a small suburb outside Philly) visiting my brother-in-law, sister-in-law and my one-year-old niece. While there, I decided to see if I could hit any water in the area. 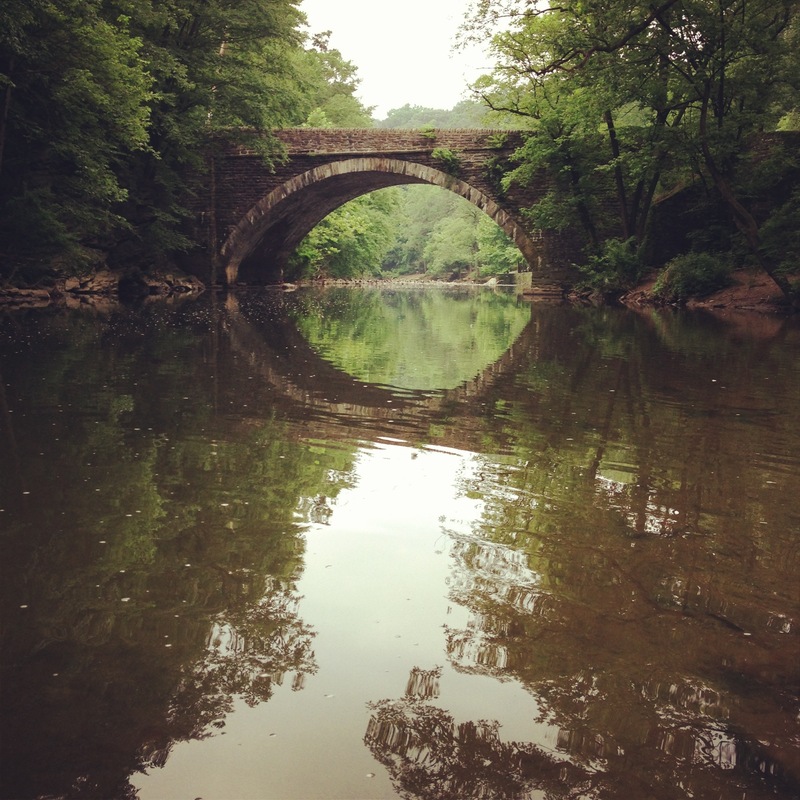 After a little research and chatting with my brother-in-law Saturday night, we realized that Wissahickon Creek was awfully close to their place and decided to get up early Sunday morning to get a line in the water. I was surprised to find I was the only one in the water. It was nice to have this little slice of heaven to myself. The creek runs through a park, so the only traffic is the occasional runner, walker or biker. No trucks. No cars. All peaceful. They were hitting just about anything, too. I started with one of Garrick’s new flies – something that looked like a white wooly bugger with hints of purple and flash. Switched to Garrick’s “Redheaded Stepchild” next and landed a few more. Thinking maybe the trout are chilling out deeper, I decided to change to a wet presentation, so I put on a black stonefly under a split shot and orange strike indicator. That didn’t do the trick, so I went to a prince nymph and that seemed to turn things back on. 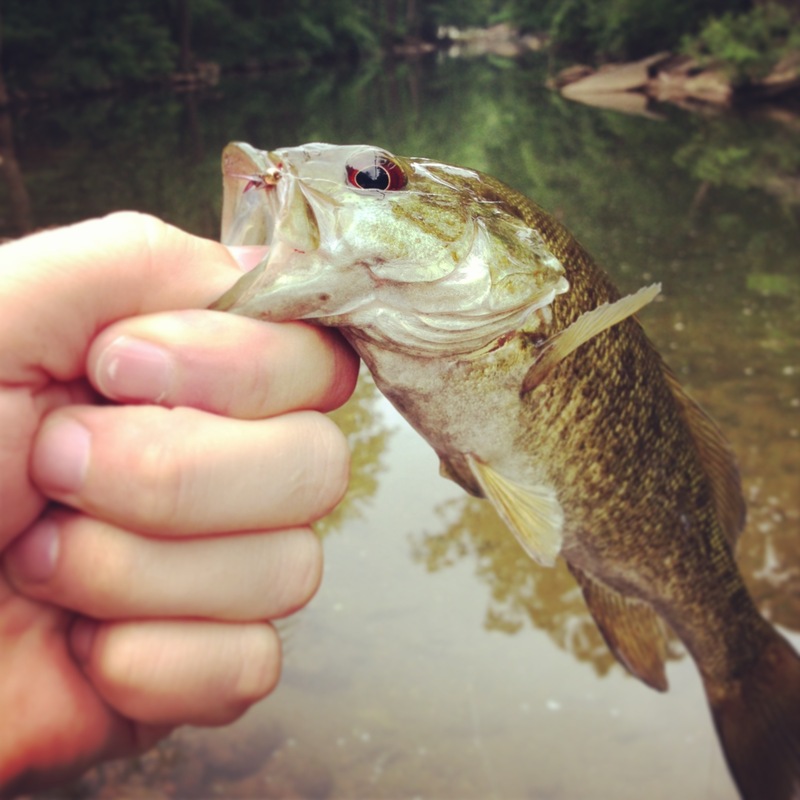 This time I landed a red-eyed smallmouth. Not bad! After a couple hours of that, I decided to move upstream where I could sight more fish. Switched back to dry flies and couldn’t stop the sunny bite. It was on. It wasn’t trout … but hey, sometimes it’s just fun to feel that tug, am I right? Here’s to another adventure in awesomeness! Until next time, tight lines! Beautiful photo of that bridge! 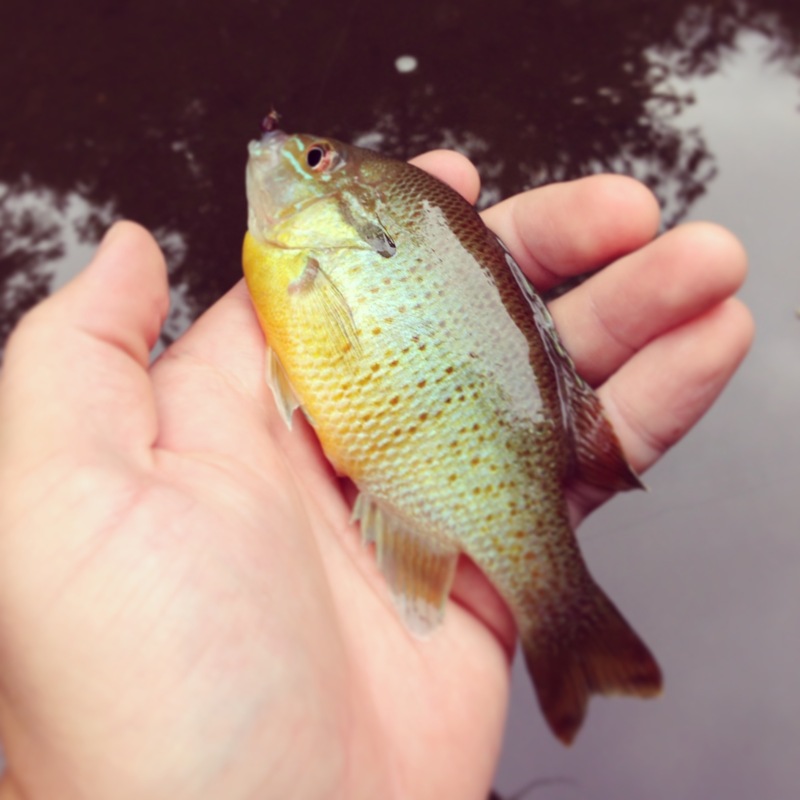 I’m no fisherwoman, but good photography is an easy lure.